Take the wheel and make your getaway! Get to the next checkpoint before time runs out! Show off your driving skills. Smash your way to freedom: collect boosts to clear a destructive path through traffic! Ride with style: your style! Choose your car from a large fleet, then upgrade your ride to make it even faster and stronger. Look out for transporter trucks to grab a special vehicle! What are you waiting for? Get in, hit the gas and let?s go. - Dodge, smash and crash your way through the streets! - Race through exotic locations, evading traffic! 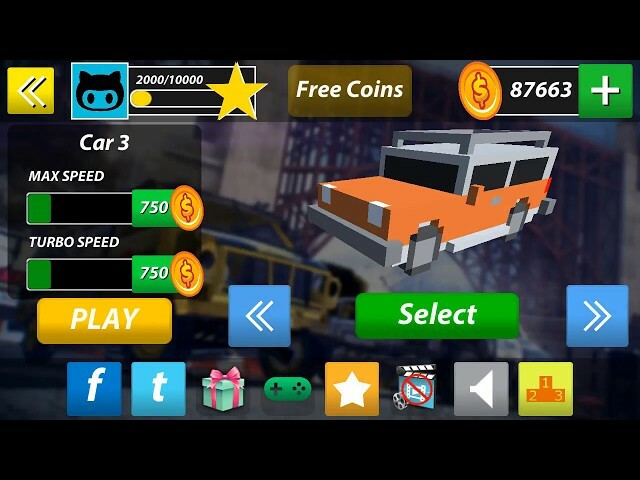 - Grab destructive power-ups: speed boosts, fire trucks! - Upgrade and unlock better and faster cars! - More Features coming in next update. Very easy to reskin. Documents and video tutorials included.